Co. Cavan and Co. Leitrim: Ballinamore, Ballyconnell, Ballymagauran, Bawnboy, Benbrack, Bilberry, Carn, Cloverhill, Corrola, Diamond, Doogary, Drumreilly North, Drumreilly South, Garadice, Greaghglass, Killygar, Kinawley, Lissanover, Newtowngore, Oughteragh, Pedara, Vohners, Stralongford, Swanlinbar, Templeport, Tircahan. At a meeting on 17th February 1851, the Board of Guardians, together with Colonel Clark of the Poor Law Commissioners, met to choose a site for the new Bawnboy workhouse. The offer of a 12-acre site from local landowner JD Rochford was accepted. The land, situated a quarter of a mile to the east of Bawnboy, cost £200 plus £1-10s ground rent for a period of 20 years. The new workhouse, built in 1851-2, was designed by the Poor Law Commissioners' architect George Wilkinson. It could accommodate 500 inmates. The cost of the building was £4,900 plus £945 for fixtures and fittings etc. The workhouse location and layout are shown on the 1913 map below. 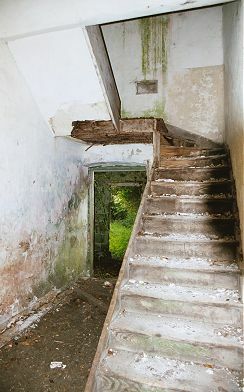 The layout of the workhouse was similar to others erected around this time such as those at Dromore West, Tubbercurry and Mountbellew. At the front of the site, two long two-storey children's blocks flanked the entrance — girls to the left and boys to the right. Behind the central entrance lay a T-shaped block, the central portion containing the porter's room, with kitchen, dining-hall and chapel behind, and women's and men's accommodation wings to the left and right. Bawnboy entrance and boys' block from the south-west, 2003. Bawnboy kitchen/chapel and men's block from the south, 2003. The workhouse bell, by which the inmates' daily life was regulated, hung above the central block. 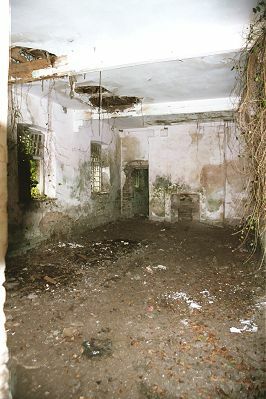 Bawnboy main block men's day room, 2003. At the rear of the site lay the workhouse infirmary. 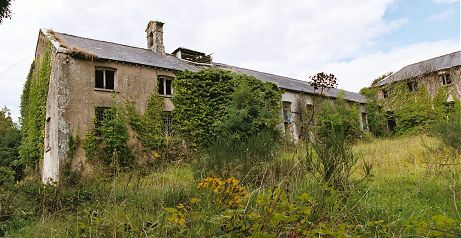 Bawnboy infirmary block from the north-east, 2003. 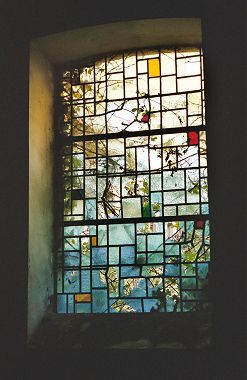 Bawnboy infirmary ward interior, 2003. A small mortuary lay to the rear of the infirmary. 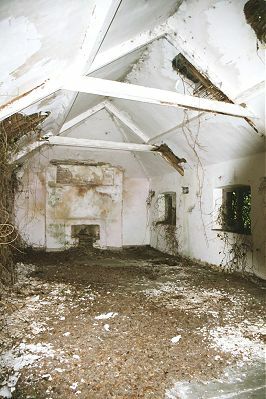 Bawnboy mortuary block from the north-east, 2003. 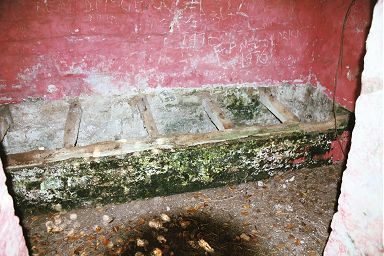 An inmates' privy (toilet) was situated in each exercise yard. 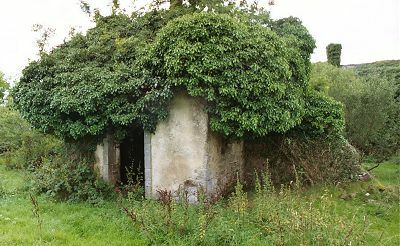 Bawnboy men's privy from the west, 2003. Each privy could accommodate several inmates sitting side by side. 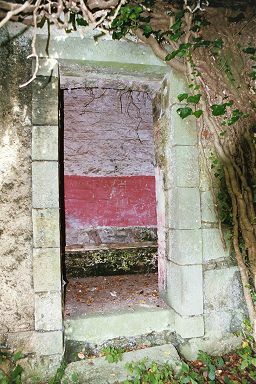 Bawnboy men's privy interior, 2003. 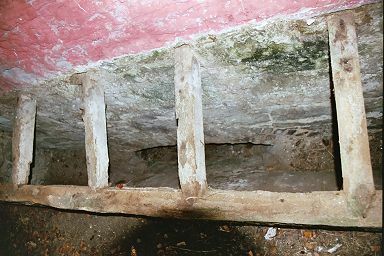 The privy contents were funneled out of the back, probably into a cess-pit. The workhouse also had a laundry and nursery on the women's side, and a bakehouse on the men's side. The new workhouse opened in November 1853 with its first inmates, 52 in number, being transferred from the. The first master was John Carson and the first matron Jane Brownlow. Carson held the post for over 40 years and was followed in the 1890s by Peter McTeigue, one of the Union's relieving officers. Jane Brownlow was succeeded by Jane Perry and Marian Kane. In 1901, the workhouse had 70 inmates and 6 officials in residence. The workhouse was officially closed down on 11th November 1921 with 23 inmates being sent to Cavan workhouse, 7 to Carrick-on-Shannon, and the remainder going home to relatives. Nurses Dodd and Byrne received lump sum payments of between £70 and £80 and allowed to continue living in the building. 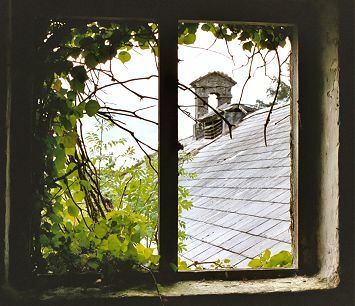 The buildings were then used for a variety of purposes. One wing was converted to a vocational school which operated from 1933 to 1967. The boys' school was used as a dance hall and concert hall, and the dining hall was the venue for theatrical performances. In more recent years, a bakery operated in the chapel. 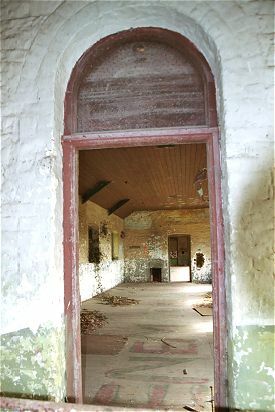 In 2010, the Bawnboy Workhouse Committee was formed in order to preserve the building and develop plans for its future use. 1853: Master - John Carson; Matron - Jane Brownlow; Medical Officer - Winslow Finlay; Union Clerk - Ralph Montgomery. 1905: Master - Peter McTeigue; Matron - Miss Marian Kane; COI Chaplain - Rev Jos. Rawlins; RC Chaplain - Rev. Patrick Finegan; Surgeon & Apothecary - Francis James Teevan; Schoolmistress - Mrs K McGovern. 1921: Master - Michael Bannon; Matron - Marian Kane; Porter - Pat Heavy. Cavan County Library, Farnham Street, Cavan, Co. Cavan. Main holdings: Guardians' minute books (1879-1920); Advertisements to tender for goods (1890-1918). Detailed list. A short video by Judith Kimber based on her family history and using photographs taken at the workhouse.